Kids at summer jobs, thrilling camp trips, and plenty of fun in the sun — these are just a few of the things you’ll see when you decide to rent an apartment in the Bay Area, and in the city of Pleasanton, there’s even more to enjoy by way of the town’s in-depth summer activities. Instead of letting the summer pass you by, why not spend some of that time taking classes, developing a skill, or deepening your bonds with the community? That’s certainly the idea behind some of the summer activities being offered, and there’s still plenty of time to get registered so you can start enjoying what the town is offering. There’s a lot to choose from in the rather dense activity guide, though, so before you start filling out your paperwork, allow us to give you some background on what’s will be taking place and what you’ll need to do in order to get signed up for legendary summer fun. Like the name suggests, these summer activities are a way to maximize the warmest months of the year, when getting outdoors is something that everyone should at least be curious about. They aren’t all outdoor activities, though, and you’ll also find plenty of great options for dancing, learning art, and a variety of other skills as well (like engineering, science, and technology). The city of Pleasanton’s official website also gives some helpful information if you’re interested in leading a program yourself by becoming an instructor. There’s an entire guide on becoming an instructor, and it’s a service the city greatly appreciates, if you’re willing to offer up your skills. Also important to note is that for those residents who require it, there is a Fee Assistance Program available to lend limited financial aid. It’s a great resource if you might not have the means but still wish to take part in some of the summer activities. Speaking of which, we should definitely take a look at what some of what this year’s programs will be offering. The Community Services Activities Guide - Summer 2018 as it is officially titled, is a lengthy read, some — some 76 pages. Within its bounds, you’ll find additional information on registration, financial aid, summer program sponsors, the parks & facilities map, and, of course, the summer camps and activities. Summer camps for younger children run the gamut from two-year-olds up to teenagers, and they fall under several broad brackets for different interests. There’s the Gingerbread Summer Zone, for instance, which provides “hands-on fun” for toddlers and preschoolers in the form of arts, crafts, games, songs, stories, science, and more. Camp content is tailored by age group, and designed to inspire creativity, curiosity, and the development of social skills. The Ridge Runners take the kids right out into nature, where they explore places like the Alviso Adobe, Redwood Regional Park, Mount Diablo, Del Valle, Las Trampas Sunol, and more. They’ll learn about being in the wilderness, how to hit the trail like a pro, how to climb, and might even get the opportunity to take a rope course. Aquatics Camps are a great fit for those who want to dive into the water, and who wouldn’t during the summertime? If they aren’t familiar with how to swim, they can surely learn here, and if they’ve already got some swimming skills under their belt, the kids will be able to enhance them further with new safety skills. The Art Camps delve into the fine craft of painting with fingers, sponges, and brushes, how to mold clay, drawing, printmaking, collages, mixed media, and much more. They’ll be able to get in touch with their creative side and might even produce a masterpiece or two in their weeks of learning. Children will be able to give their inner dancer a workout at the various Dance Camps on offer, or their budding thespian at one of the many Drama Camps available. For the researchers, inventors, and tinkerers to-be, the Engineering & Tech Camps, Science Camps, and Lego Camps will likely be the most appealing option. 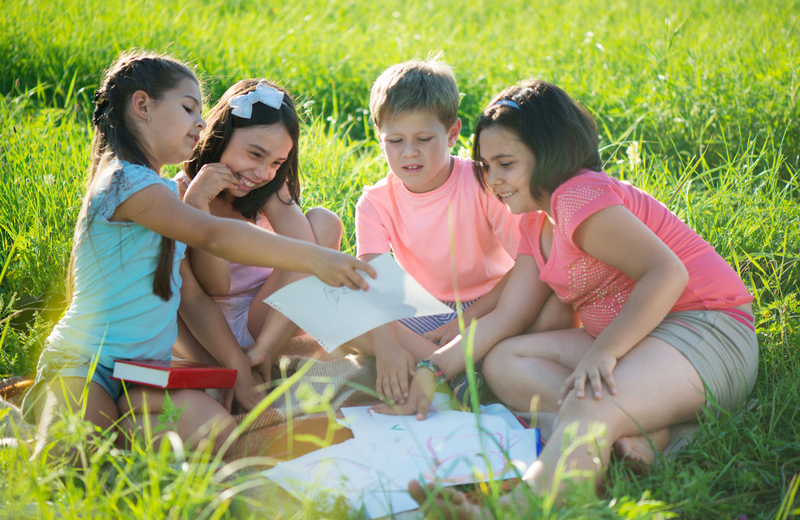 Enrichment Camps will be the place to go to build better reading, writing, and storytelling skills, and if you’ve a child destined to lead the band, you might want to try enrolling them in one of the many Music Camps on the list. Sports Camps will help your kids unleash some of that pent-up childhood energy, and even Special Interest camps to cover more unique curiosities like chess, martial arts films, and detective work. Don’t worry adults and teens, there are also plenty of age-appropriate classes for you as well, so be sure to check out the whole activity guide and find what might interest you. It should come as no surprise that great places to live like Vintage give you access to plenty of stuff to do in your off time. In addition to the amazing summer programs that you’ll no doubt want to take advantage of, this pristine rental community puts you well within reach of all the shopping, dining, entertainment, and leisurely luxuries you might not find elsewhere. Be sure to check it out and make it your choice for the good life, right near historic downtown Pleasanton.